Each year the Christmas Day party at Elbow Beach gets bigger and bigger. People put on Santa hats, pack a cooler and head to the public beach to meet up with family and friends. While the party-goers enjoy the morning and mid-day fun, there are neighbourhood stakeholders that are helping behind-the-scenes to make it a successful event. The Coral Beach & Tennis Club will allow people to park on the Horizons property. St. Paul’s Anglican Church volunteers will help with free parking. Any donations to the church will be gratefully accepted. 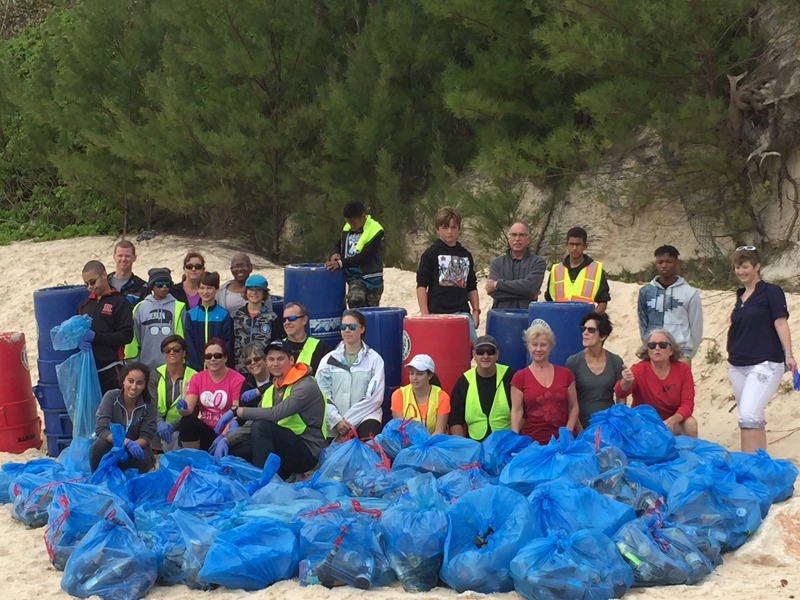 “This event is not hosted by Keep Bermuda Beautiful. However, KBB will put dozens of extra trash bins down on the beach as well as in the parking lot to capture all the picnic debris. 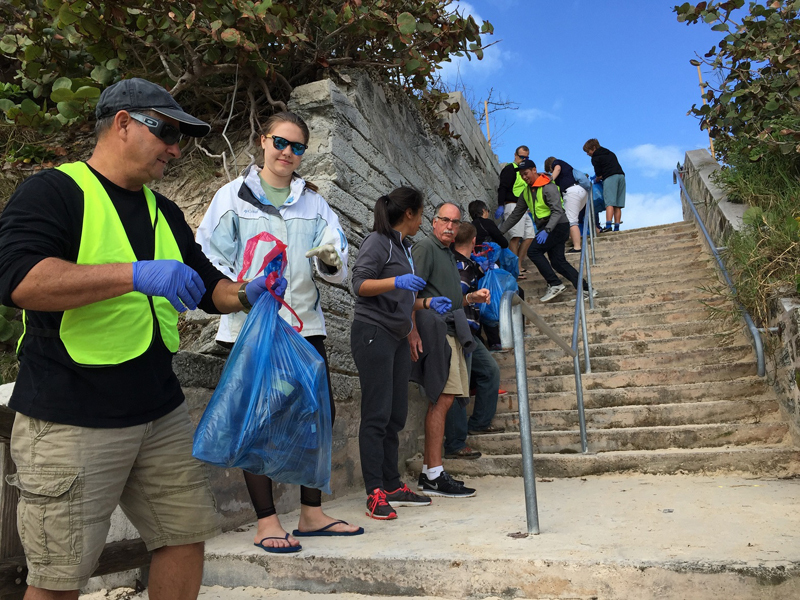 On Boxing Day, KBB volunteers will return to the beach to carry the bagged trash and bins up the steps to the parking lot,” KBB explained. 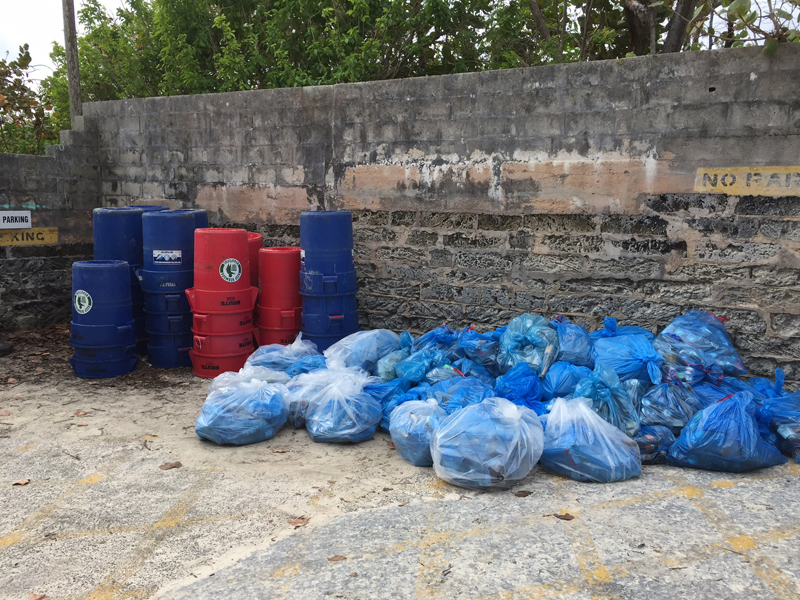 “Last year, there was 2,000 pounds of trash and all the glass bottles and metal cans were successfully separated for recycling. The Department of Parks waste collection team will truck away the bagged trash, so that as quickly as possible the beach can become spotless for the remainder of the holiday period. 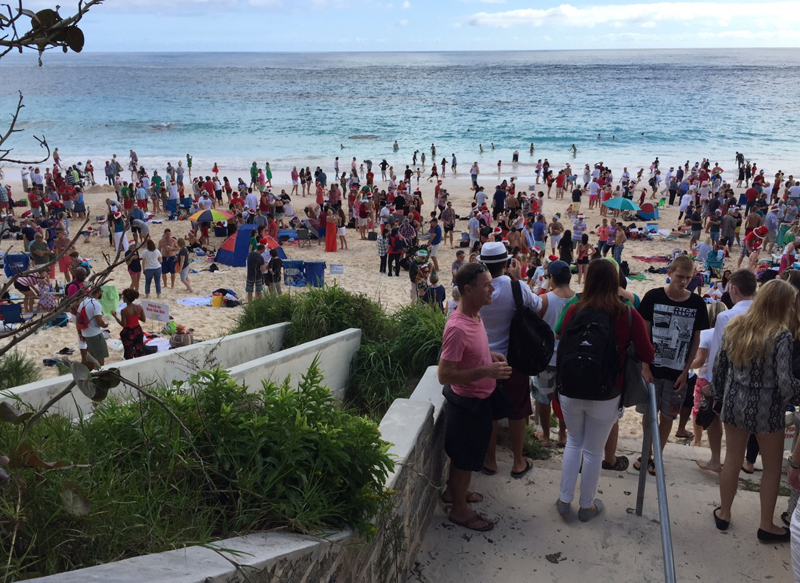 KBB Executive Director, Anne Hyde, says, “Christmas Day at Elbow is the closest thing Bermuda has to a ‘Leave No Trace’ event. I am so happy that this crowd is respectful of their surroundings and, when there are plenty of bins, no one litters. 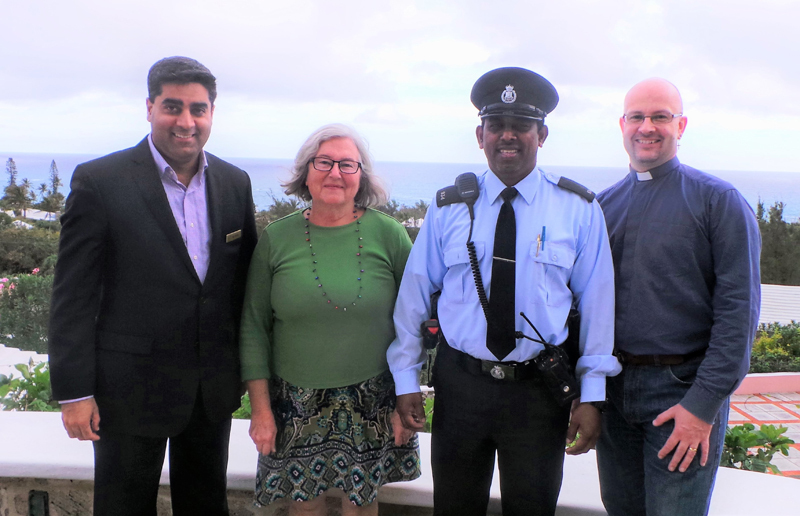 “KBB would like to thank its community partners who have come together to provide all the ingredients for a clean and safe beach party: General Manager Nik Bhola at Coral Beach & Tennis Club, Horizons Manager Chris Evans, Rev. Anthony Pettit at St. Paul’s Anglican Church and his team of parking volunteers at Horizon’s, Parks Officer Claudette Baisden and the Parks waste collection team, and Police Constable Krishna Singh who is the Community Action Team officer for Paget. “Last year thousands of people attended. The Department of Parks cannot be expected to do it all especially during the holidays, so KBB has willingly stepped in to help with community service. “People who are planning to go to the public beach at Elbow for Christmas Day are asked by KBB to assist by helping to clear the beach of all litter and debris. Use the trash bins. If the bins are full, take your trash home with you. Do not block the entrance road. Park at Horizons. It will take a shift in thinking, but if we can figure out how to build houses to withstand hurricanes and provide drinking water, we can figure out solutions for trash.